Javid to break business broadband logjam? Culture secretary Sajid Javid – bringing broadband to businesses. The government is looking at how to get high speed broadband to urban businesses despite state aid rules that appear to preclude using some of the £2bn of BDUK money to do so, culture secretary Sajid Javid told MPs on the Culture, Media & Sport parliamentary committee yesterday. Javid said DCMS is talking to stakeholders, including the Federation of Small Businesses, which this month produced a second damning report on broadband, to resolve the situation. Javid also revealed that the contracts between BT and country councils for rolling out “superfast broadband” have claw-back clauses that come into effect when take-up reaches 20%. Javid added that the government was updating the Electronic Communications Code as part of a deal with mobile network operators to extend mobile coverage to 90% of the UK land mass announced late last year. The code was outdated and inconsistent with current technology and practice, he said. The required changes are included in the Infrastructure Bill currently before parliament (see here). 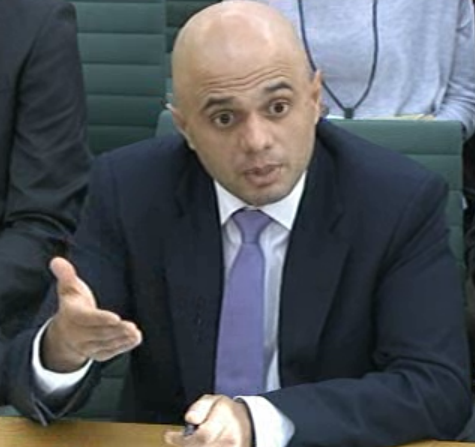 This link Culture secretary Sajid Javid on the DCMS annual report opens a new window. Javid’s comments on the code are at 12.43, and on broadband at 12.53. At least there seems to be growing alarm over the physics-denying claims of the SuperFARCE. This is in stark contrast to the continuing Broadband Britain TV advertisements funded by the taxpayer with the backing music “They won’t be fooled again” by The Who. Meanwhile Fell End** has paid BT £80,000 for a partial BT FTTP at a maximum speed down of 330 Mbps and up of only 30 whereas B4RN provide 1,000 Mbps up and down to over 750 very rural properties over the Lancastrian villages and Fells. B4RN in Halton are offering a potential of 10,000 Mbps up and down to some large offices but that would be impossible for the BT GPON fibre configuration. since when did state aid rules apply to this fiasco? , in can give many examples of where it has been ignored. One is Hooksway in Sussex , this is a hamlet of 4 houses and a pub down a single track lane. it is and has been provided with 30 Mbps super fast since 2005 (although it was 13 Mbps at the start) with a 100% take up. WSCC in conjunction with openreach have been running fibre for miles and are currently digging up the single track road to run FTTP to these properties. Even if you consider , as WSCC do, that our service is only “basic 2Mbps” then how does this justify such expenditure on such a small remote location ? Could it be that an unpaid volunteer parish councillor lives in one of the houses? , nah surely not as that would be a massive abuse of resources..? Could it be Openreaches desire to overbuild existing commercial networks using public funds ? almost certainly. Meanwhile in other parts of the county that receive the 2 Mbps basic service via ADSL people have been told by WSCC that they cannot spend the money there due to state aid rules as Kijoma operate in the area. Even if we have clearly provided evidence that those particular properties are outside our range at present. So why are they having such a difficulty with state aid and urban areas, what is wrong with the steamroller approach?